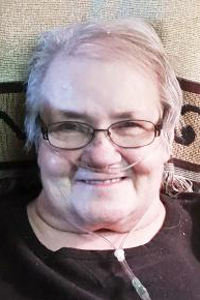 Jane Evelyn Kirchner, 73, of Tiffin, passed away Saturday evening, May 19, 2018, at Mercy Health – St. Vincent Medical Center, Toledo. She was born May 24, 1944, in Tiffin, to Robert and Kathryn (Herbert) Hemlinger. She married Ronald Moore and they divorced. She then married William F. Kirchner and they divorced. Survivors include her son, Dale “Tony” Moore; a daughter, Kelly (Steve Guilkey) Schreiner; four stepchildren, Denny (Diane) Kirchner, Rick (Peggy) Kirchner, Sandy (“Whitey”) Smith and Vickie Kirchner; a brother, Brett (Rebecca) Hemlinger; two sisters, Peg (Don) Wentz and Sandy (Lee) Renner; two grandchildren, Kayla Schreiner and Tanner Schreiner; and long-time companion, Skip Halcomb. She was preceded in death by her parents; a brother, Robert Hemlinger; and two sisters, Pat Edler and Kathy Martin. Jane graduated from Tiffin Columbian High School in 1962, worked at Air Foil Textron for 29 years until its closing and retired from Whirlpool Corp., Clyde, in 2007. She obtained a CDL between working at Air Foil Textron and Whirlpool. She enjoyed going to the casinos, gardening, swimming, playing bingo, cooking, baking, watching game shows, attending her grandchildren’s sporting events and activities and was a fan of the Cleveland Indians and Pittsburgh Steelers. Jane loved her family and was a very dedicated grandmother. fried-Mack Funeral Home & Crematory, 236 S. Washington St., Tiffin, OH 44883, (419) 447-2424. Her funeral will begin at 7 p.m. Thursday, May 24, at the funeral home with the Rev. David Culp officiating.